Power Blade is Korea’s champion juvenile of 2015. The colt, favourite in the betting market, claimed the title with a comfortable win in the Breeders’ Cup at Seoul Racecourse on Sunday afternoon. Power Blade was favourite on the strength of his second place in the Gyeongnam Sinmun Cup last month. That day he was beaten by his stablemate, the filly Ottug Ottugi. That day, over 1200M, he was only beaten by a neck and finishing much the stronger. Given an extra furlong, he never looked like being beaten. The previously unbeaten Ottug Ottugi as expected went straight to the front out of the gate along with unbeaten colt Banjiui Jewang. Power Blade was also ridden forward and under Kim Yong Geun, took things up entering the home straight and didn’t look back. Banjiui Jewang ran on for a very solid 2nd place and looks to be one to follow next year too while Winner’s Glory was the first Seoul-trained horse home in 3rd. Yet again it was anther big race winner for trainer Kim Young Kwan and for Busan-trained horses in Seoul. It was Kim’s seventh group winner of the year, beating his own Korean record of six which he recorded in both 2013 and 2014. He could well land an eight in the Grand Prix Stakes on December 13. It hadn’t been the easiest of starts to riding in Korea for Nicola Pinna but things came right for the Italian jockey at Seoul Racecourse on Saturday as he rode a double, including victory in the feature race on Bichui Jeongsang who downed Asia Challenge Cup winner Choegang Schiller in a tight finish. Pinna couldn’t make weight on the first of his scheduled mounts a few weeks ago and was handed an automatic two-day ban for his troubles. It meant that despite having been in the country a month, prior to today, he had only had three rides. Today it came right though. Pinna made his breakthrough on 3/1 second favourite Hwangnyongbisang, who scored a two-length victory in race 8. However, by far the best was yet to come. Choegang Schiller (Artie Schiller) beat Singapore’s El Padrino to win the Asia Challenge Cup in a track record time at the end of August. The three-year-old hadn’t run since then and was sent-off the hot favourite to repeat today with regular jockey Lee Chan Ho riding. Third-favourite was Bichui Jeongsang (Wildcat Heir), a four-year-old filly, who had won five of fifteen career starts and was 3rd to Esmeraldina in the Ttukseom Cup. With Pinna in the saddle, Bichui Jeongsang wasn’t quickly away but improved around the home turn to come shoulder to shoulder with Choegang Schiller entering the home straight. That would be how they would remain for a keenly-fought tussle through the final two furlongs that went all the way to the line. It looked at one point as Choegang Schiller had it but Pinna coaxed out one last effort from his mount to get her home a neck in front. Punters second-choice Bear Queen Trophy was a distant third but may as well have been running a different race, so dominant the first two were. The winning time was just one-tenth of a second outside the mark that Choegang Schiller set in the Asia Challenge Cup. The win could be a boost for Bichui Jeongsang’s connections ambition to race her overseas early next year. A day can make a big difference and all of a sudden, 27-year-old Pinna now has two wins from just seven mounts and really showed his quality in that second win. He has five more rides tomorrow. Fellow Italian-licensed rider Djordje Perovic meanwhile guided home his 38th Korean winner earlier in the day and is now joint-leading jockey at Seoul for the month of November. While Perovic can do a kilo lighter, more rides like the one on Bichui Jeongsang and Nicola Pinna could well be challenging him in the near future. Korea’s champion juvenile will be crowned at Seoul Racecourse on Sunday afternoon after eleven two-year-olds line up for the Breeders’ Cup. The winners of both Seoul and Busan’s prep races, the Gwacheon Mayor’s Cup and the Gyeongnam Sinmun Cup, will both be there and it is set for an interesting race. He was 5th in the Mayor’s Cup, five lengths behind the winner. His victory came in September over 1200M but it was not an especially strong race and both speed and stamina are open to question. A lot of improvement will be needed if he is to compete here. Expect him to settle in the middle of the field. She comes in following consecutive victories over 1200M and 1300M, most recently at class 5. She came from just behind the lead on both occasions and will likely try similar here and while she has potential, others will be favoured. A half-brother to last year’s winner Doraon Hyeonpyo, he will be an outsider to match his elder’s feat. He does come in following two consecutive wins, beating Whiz Speed in the first of those and Dixie Ploit (half to Derby winner Yeongcheon Ace) last time. He is another that will look to settle just behind any early speed but he is going to have to find plenty to beat this field at this distance. He entered the Mayor’s Cup unbeaten in two and led for much of that race only to be defeated by the fast finishing Waikiki on the line. Despite that, he is likely to go try to go forward again, he should be able to cope with the distance and he may be considered. The only one of this field to have already won at this distance with a six-length win on October 25th. He was similarly impressive on his debut a month earlier. He scores highly on speed and obviously has no issues with the distance. While he led from gate to wire last time, he came from behind the time before and with some others likely to go forward, he may opt to be patient here. Big chance and he will be well-backed. The 48/1 winner of the Mayor’s Cup last month when she flew home from the back of the field to get up by half a length from Winner’s Glory. That followed two 2nd places when similar tactics were employed. She certainly showed a decent turn of foot and the distance will suit her. She will go right back once more and she will be nothing like 48/1 this time. A nine length winner on his debut, he was an early scratching from the Gyeongnam Sinmun due to soreness but came back on November 6th to win a 1200M class 5 race by four lengths so he arrives unbeaten. He has won from the front both times but may not wish to take on the early speed this time. The distance should be fine for him, plenty of potential and a big chance. 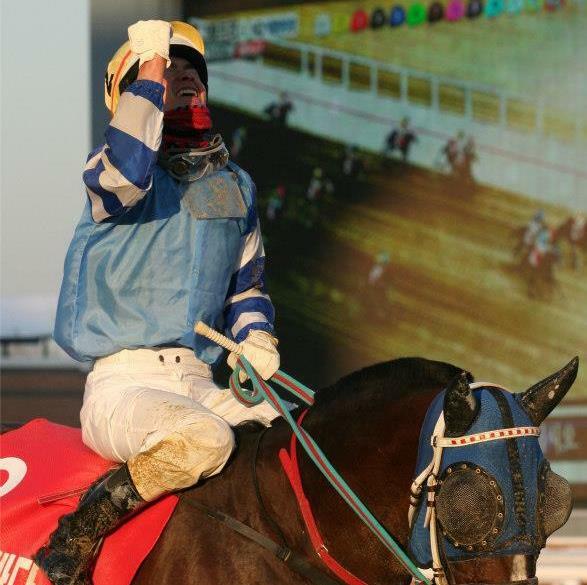 He was 5th in the Gyeongnam Sinmun but came back out a winner on November 6th over 1200M. That was at class 6 so there is still plenty to prove and he is yet to show much in the way of speed. He won from the front last time but may not go forward here and he will perhaps be the least fancied of the Busan visitors. Sent off in excess of 60/1 in the Mayor’s Cup, he managed a creditable 3rd place coming from the back along with the winner Waikiki who he was a length and a half behind on the line. He previously won a class 6 race over 1200M. He will most likely go back again and try to close but won’t be among the favourites. A four length winner on his debut in August he was then stepped up to a mile for his first try at class 5 and finished a very creditable 2nd. He almost managed to run down stable-mate Ottug Ottugi in the final strides of the Gyeongnam Sinmun but the line came just a fraction too soon. This time, with an extra furlong to play with, things could very well be different. He will look to sit behind the early leaders and could very well start favourite. It’s time for the Juveniles to shine at Seoul this Sunday when the best domestic-bred two-year-olds from both the capital and from Busan face off in the “Breeders’ Cup” to decide the nation’s champion juvenile of 2015. Last year, the Breeders’ Cup race was won by Doraon Hyeonpyo and his half-brother Clean Up King is among eleven who will line up for the seven furlong test. They also include Ottug Ottugi and Waikiki, who won the prep races for this event at Busan and Seoul respectively. Cheongu and Success Story left their respective class 1 opponents at Seoul and Busan seemingly running in different races as they dominated the weekend’s feature events. Cheongu has had an entertaining year, with a third place in the Asia Challenge Cup behind Choegang Schiller and El Padrino sandwiched between trips to Singapore and Japan. In all three of those races, he went out quickly only to be reeled back in the closing stages. On Sunday, back in the comfort of a regular class 1 field at Seoul, the familiar tactics paid off with Cheongu making all over seven furlongs to win by an irrelevant margin of three lengths on the line with Mirae Yeongung and Parang Juuibo the somewhat surprising other placegetters. Cheongu has now won 5 of 8 starts in Korea. Busan’s Sunday feature saw a welcome return to the winner’s circle for Success Story. The four-year-old has had a bit of a stop-start year but if Cheongu’s win was easy, Success Story’s was barely a race. With apprentice Lee Yong Ho on board, Success Story was carrying less weight than in previous starts this year and by the end of the race jockey Lee seemed likely to end up needing treatment for a sore neck so much time he spent looking over both shoulders as Success Story sauntered away from a small, but by no means soft field over a mile. Despite not breaking into a sweat, Success Story won by seven lengths from outsider Baksuchyeo in a time not far outside of the track record. Success Story moves on to 10 wins from 18 starts and one hopes tougher challenges await for this horse who is yet to perform in a Stakes race. In other news, Masa Tanaka came one winner closer to his stated goal of 100 winners in Korea; he partnered Bart Rice’s debut-making US gelding High Five (Girolamo) to victory in race 1 at Busan on Sunday. It takes the Japanese rider to 97 for his time in the country so far. No Stakes action on the peninsula this weekend but as usual there is plenty going on at both Seoul and Busan. Seoul has one additional race than it usually would on a non-Stakes weekend in order to make up for the one that was lost to a tote-board malfunction two weekends ago. Voting is underway for the season-ending Grand Prix Stakes which will take place at Seoul Racecourse on Sunday December 13. Like Japan’s Arima Kinen, entry to the race is determined by a vote among racing fans. The vote opened on Friday at the Korea Racing Authority’s website with polls due to close on Sunday November 22. A total of 28 horses; 14 from Seoul and 14 from Busan, have been nominated for the race and there will be a maximum field size of 16. Among the nominees is one former winner, Gamdonguibada, who took the honours as a three-year-old in 2012. For the last two years, the winner of the President’s Cup has gone on to take the Grand Prix, Indie Band in 2013 and Gyoengbudaero last year. While those two are respectively on the long-term injured list and retired, this year’s President’s Cup victor, Triple Nine is on the ballot and will be a strong contender. Also nominated is Korean Derby winner Yeongcheon Ace and Queen’s Tour overall winner Heba as well as the hitherto unbeaten three-year-old Bold Kings. Cinderella Man who won a trial for the race over the Grand Prix distance last week, is another on the ballot.